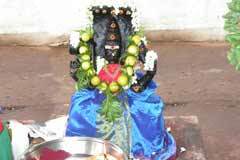 Shivarathri and Masi Magam crematorium robbery festival in February-March, Aadi Fridays in July-August and New Moon day pujas are celebrated in the temple. 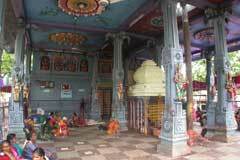 Majority of the devotees to the temple are women. One feels an exciting feeling sooner entering the temple. The temple is filled with turmeric and kumkum smell. 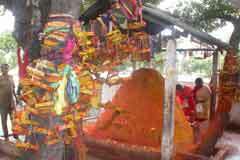 Women place a lime fruit at the feet of the Goddess keeping their sari pallu also there with some prayer. If the fruit rolls and falls at the sari piece, it indicates their wish will be fulfilled, it is believed. 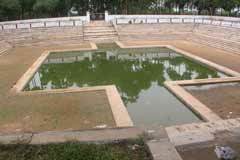 The temple is open from 6.00 a.m. to 1.00 p.m. and from 2.00 p.m. to 7.30 p.m.
Sri Angala Parameswari Temple, Ramapuram (Putlur)-602 025. Tiruvallur district. 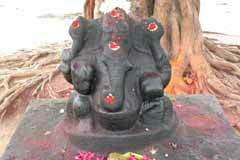 Majority of the devotees pray for child boon. Within a few minutes the anthill became visible. 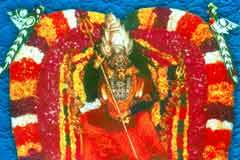 As the Goddess appeared from Poongavanam, she came to be worshipped as Poongavanathu Amman. Ramapuram is 35 km from Chennai Koyambedu. 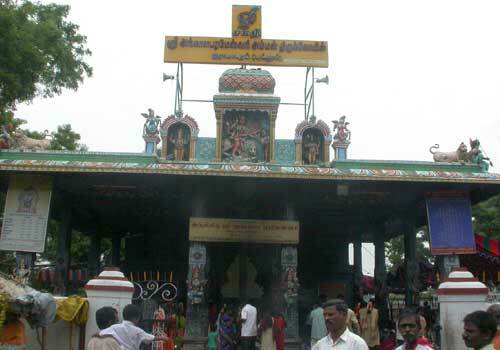 Buses from Koyambedu to Tiruvallur via Avadi pass through this place. 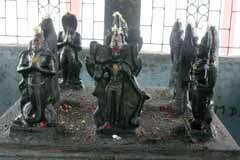 The temple is nearby Ramapuram bus stop. K P Guest House: +91-2766 1119, 99945 32289.